With the first round of Section 301 tariffs in place as of July 6, and with the second round of tariffs coming into effect August 23, many U.S. importers are paying more attention to the country of origin of their imported merchandise, especially when these products undergo final production outside of China, but use some quantity of Chinese parts and components. (b) Country of origin. ‘‘Country of origin’’ means the country of manufacture, production, or growth of any article of foreign origin entering the United States. Further work or material added to an article in another country must effect a substantial transformation in order to render such other country the ‘‘country of origin’’. 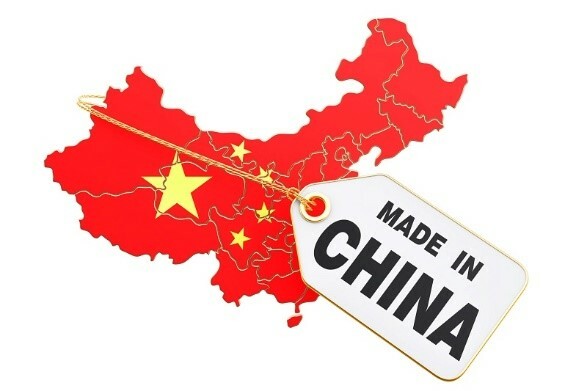 Therefore, when Chinese inputs are used in the manufacture of an article in a third country, the work done to the Chinese inputs must result in a “substantial transformation” in order to cause the finished product to take on the country of origin of the country where the production is taking place. a substantial transformation of an imported article occurs when it is used in manufacture, which results in an article having a name, character, or use differing from that of the imported article. If the manufacturing or combining process is a minor one which leaves the identity of the imported article intact, a substantial transformation has not occurred . . . assembly operations which are minimal or simple, as opposed to complex or meaningful, will generally not result in a substantial transformation. (o) Simple assembly. “Simple assembly” means the fitting together of five or fewer parts all of which are foreign (excluding fasteners such as screws, bolts, etc.) by bolting, gluing, soldering, sewing or by other means without more than minor processing. Therefore, operations which include a small number of components that are joined by such means as bolting, soldering, etc., would likely not be deemed to meet the substantial transformation criteria. While there is still a lot of room for interpretation in this definition, the key requirement is that the manufacturing or assembly operations must indeed be considerable and effect a real change to the input components, and that minor manufacturing or assembly operations will not amount to a substantial transformation. This necessarily requires that most country of origin determinations be made on a case-by-case basis. Further guidance can be obtained by consulting previous customs rulings to determine CBP’s treatment of similar products. For example, CBP has generally held that the processing of pharmaceutical products from bulk form into measured doses, filtering and packaging does not result in a substantial transformation. In another example CBP held that the subsequent processing of “green” steel pipe, including heat treatment and cold drawing, does effect a substantial transformation. Due to the significant stakes involved in a country of origin analysis to determine whether products are of Chinese origin or not for Section 301 tariff purposes, importers are advised to proceed with due caution. Make sure to exercise Reasonable Care and to document your analysis, and as always, make sure to consult with proper experts if necessary and obtain a ruling from CBP if there is any reasonable doubt as to the final answer.